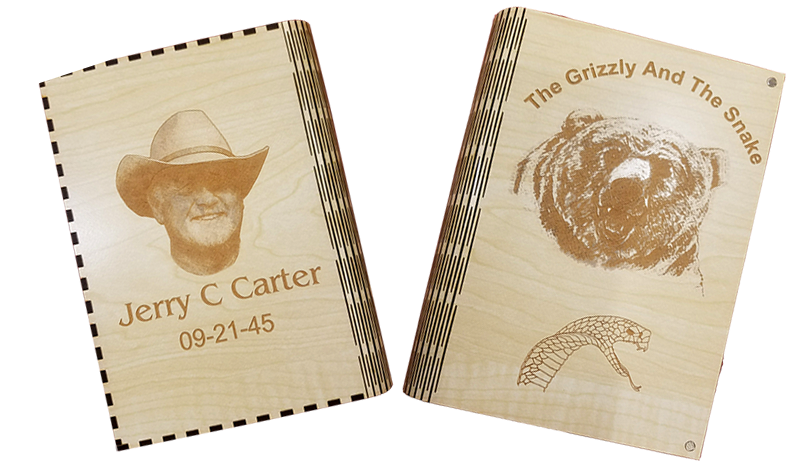 Jerry Carter, owner and designer or Carter Enterprises, and renowned wildlife artist, Clark Kelly Price, have teamed up to create The Grizzly and the Snake, a hunting tale unlike any other. Told from the perspective of Jerry Carter himself, young readers learn the true life of a hunter and the dangers one can encounter in the wild. 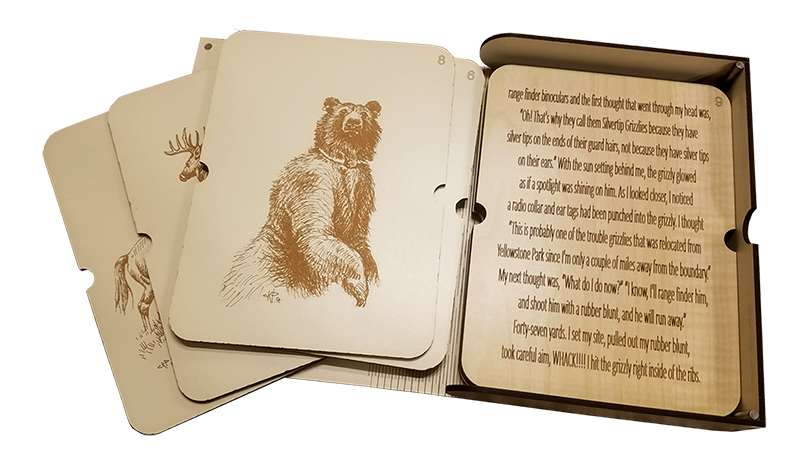 A desire of adventure,an appreciation for nature, and a stroke of bravery leap from the wooden, loose leaf pages of the uniquely designed laser engraved book. Buy your copy of the timeless Grizzly and the Snake today !